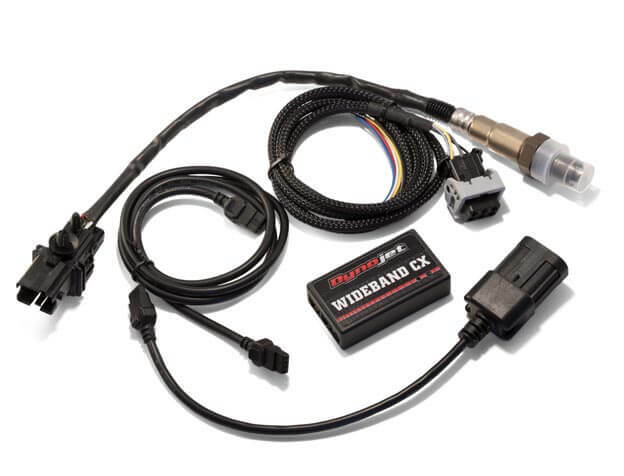 The new Wideband CX plugs into the vehicle's diagnostic port and seamlessly integrates AFR data from the included wideband 02 sensor(s) with the OEM databus. 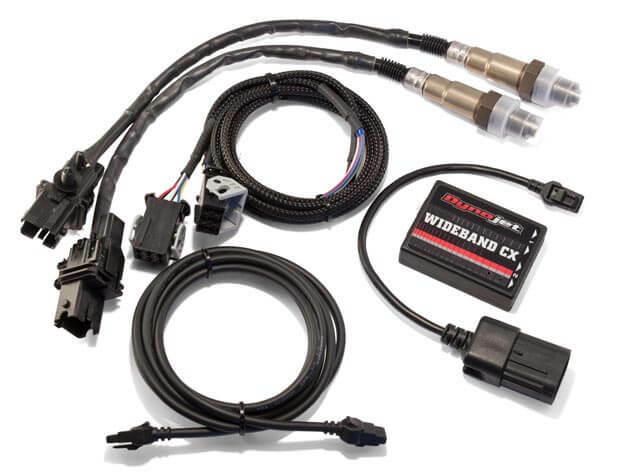 When used in conjunction with Power Vision CX you can view and datalog wideband 02 data alongside custom channels directly from the vehicles diagnostic port. The logs are stored in the Power Vision CX memory and can easily be downloaded for review in Dynojet's Power Core Software Suite. 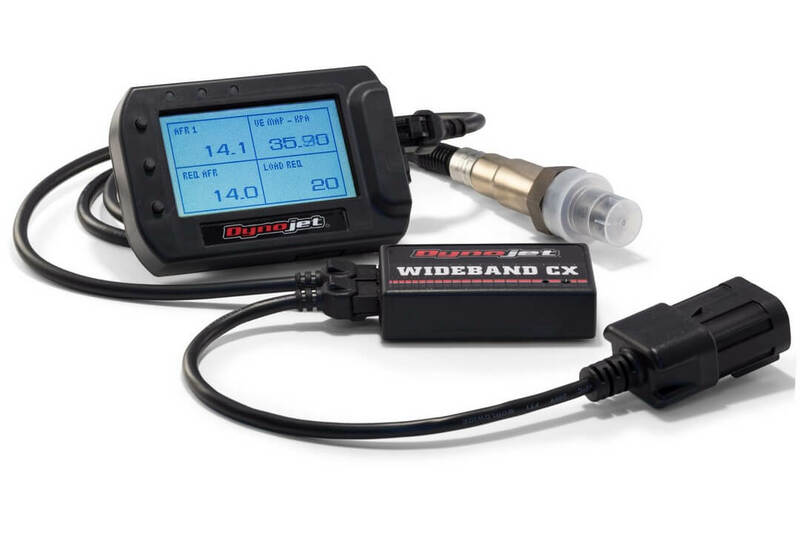 The Wideband CX is a plug-and-play kit with no extra cables for power, ground, and signal that are typically associated with wideband controllers. Wideband CX ensures real-time wideband 02 AFR accuracy with negligible latency and avoids any signal offset issues with its industry first, innovative design.